Earners will have demonstrated an awareness of feelings, beliefs, attitudes, and misconceptions about death and grief and be able to identify strategies and resources to support terminally ill or dying individuals and their loved ones. They will have an understanding of grief and be able to identify practical strategies for dealing with a grieving person. Earners will have the skills necessary to complete end-of-life planning documents and will be able to educate others about their value. 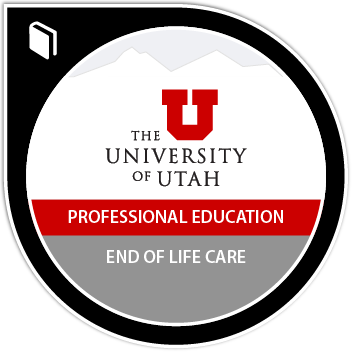 Earners complete the course GERON 6564: Interdisciplinary Approach to End-of-Life/Palliative Care. This is a 15 week course that is held with for-credit sections. Earners complete the course GERON 5320: Death, Dying and Bereavement. This is a 15 week course that is held with for-credit section.